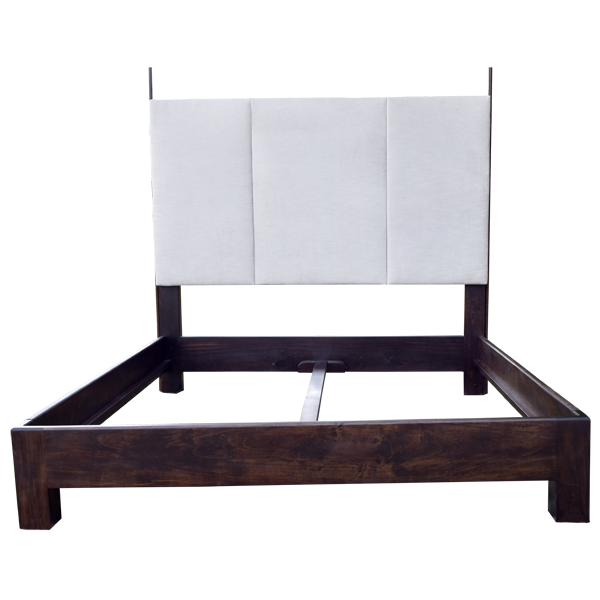 The contemporary design of this gorgeous, handcrafted bed will bring elegance and sophistication to your home décor. The rectangular headboard has a minimalistic design, and it is built with three, large, geometric shaped, padded panels. 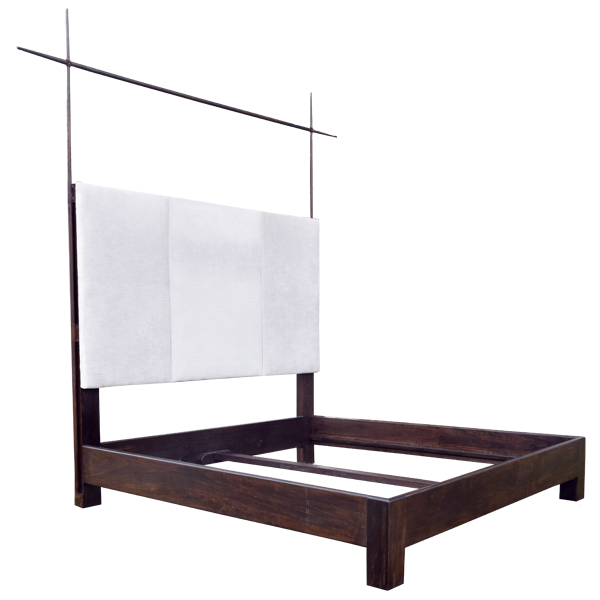 Each panel is upholstered with brilliant, white, fine fabric, and the junctions of the fabric are double stitched together for extra strength and durability. Attached to and rising above the bed is a simple, crossed, hand forged, iron design that gives the bed a minimalist, Japanese look. The bed has a solid wood, structural frame, and it rest on square cut legs. 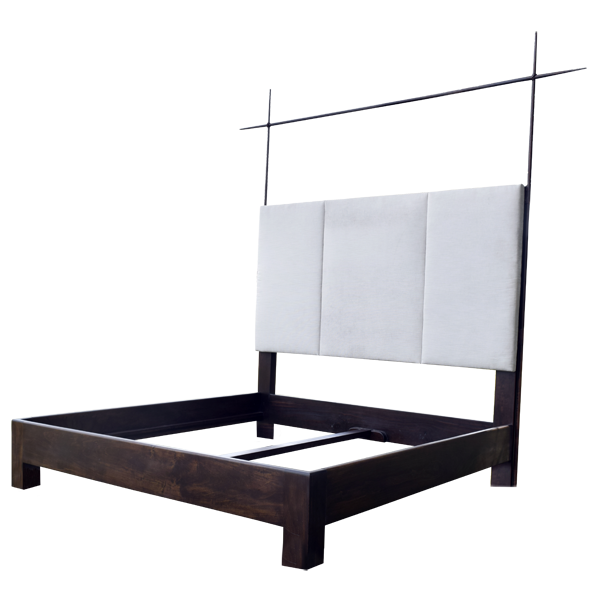 It has an opulent, dark finish, and it is made with the best, sustainable, solid wood available. It is 100% customizable.